So if credible, David says that the Fed’s money injections could have been “smaller.” But from your chart here it looks like *somebody* significant thought it was credible enough that short term interest rates would rise anyway: and they thought so over and over and over again. So why didn’t they rise? What was missing? Can you explain an MM theory of hyperinflation? I am collecting explanations for hyperinflation from different economic theories and have not yet found one for MM. If it is the same as one of my existing ones, can you tell me which? Vince, MMs have only one explanation for inflation/hyperinflation.and that´s “too much” money. The “too much” is relative to money demand. Hyperinflation is money “gone wild”. The trigger for that is usually the”breakdown” of the government budget constraint in the sense that the government´s only alternative is monetary financing of the deficit indefinetely. Thanks, but can we flesh this out a bit more? If their only alternative is monetary financing of the deficit, that means that other people are no longer buying their bonds, right? Why does this “go wild” thing happen? Most of the explanations seem to have a positive feedback loop. Do you see things getting out of hand as the central bank buys more and more bonds, making people want to own then less and less, making a loop that feeds on itself? Do you see a death spiral? Do you think that you can start getting hyperinflation that you can just slow down the money creation or do you see it as a giant vortex that once caught in is hard to get out of? Thanks again. BTW, that comments section has some heavy weights in it, but not many comments: Simon Wren-Lewis, Nick Rowe, David Andolfatto (of the St. Louis Fed), and Stephen Williamson (Also of the St. Louis Fed). Perhaps the perfect place to spread your propaga… er I mean your message? (You might have a hard time convincing that crew though… even Williamson: I understand he *used* to be in the hyperinflation camp before doing a 180 and becoming a Neo-Fisherite… skipping right over NK and MM in the process). One more question. Do you think that at this point Japan’s “only alternative is monetary fiancing of the deficit indefinetely”? It seems only the central bank is buying JGBs now. Could they survive an increase in interest rates? Seems about half the budget is taxes and the other really comes from new money at this point. Would you predict hyperinflation for Japan? Tom, don’t try and bias Marcus. It kind of seems like Japan fits what he was saying. Thanks for the other link, I jumped in. But if he says “no” and then Japan gets hyperinflation it is 5 points against MM, so he it seems he is deliberating carefully on his answer, as he should. You said, “MMs have only one explanation”. I am curious if you see any flaws in the 30+ explanations I have collected. Is there anything false in any of them? Or is there historical data that would contradict any of them? Shoot in the time it took me to scold you Marcus was already on it! Well then never mind then. Vince, you must have a lot of time to spare. That´s because you make up 30 different stories that are easily collapsible into a single one: Money printing! 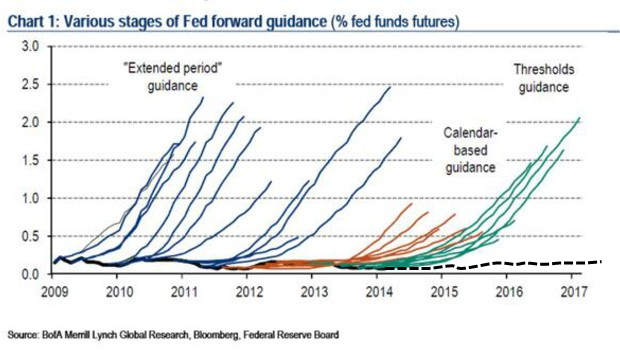 Yes, there is always too much money printing. But these 30 stories flesh out the details of how things get out of control and there is then too much money printing. This is the interesting thing, how/why/when things get out of control. Sure it is money printing but how does the money printing get out of control? This is the interesting thing. Hyperinflation is out of control inflation. How does the central bank lose control of the money supply? What is the MM explanation for “things go wild”? Vince, There are N (large number) possible dysfunctionalities that can end up putting money printing out of control. The interesting thing is that mostly (really always) they are processed through the liver (I mean government) and thus through the budget. But remember, the end result must be money printing out of control. So look out to see if that´s happening anywhere. Marcus, I think Vincent would claim that money printing is approaching “out of control” status in Japan and perhaps in the United States too. He’s says that it isn’t out of control quite yet, but getting very close. Take Japan for instance: what do you say about the money printing there? Vincent says that the annual inflation will be greater > 26% within a year and 10 months: and furthermore once that starts that the Yen will be devalued by a factor of 10X within five years (so that’s 58% annual inflation for five years). What do you say? In Japan they are spending twice what they get in taxes. Doesn’t this count as a government with a budget that is out of control? Nobody but the central bank is buying government bonds. Doesn’t this count as money printing out of control? If this does not count, at what level would you say that a government budget is out of control? The budget has been “out of control” for almost 2 decades. Where´s the inflation? where´s the runaway growth in the money supply? For most of that time they had deflation! Good cop, bad cop treatment? What you guys have to do is pick another MM, question him separately and see who “confesses” first to your “pejudices”! A Prisoners Dilemma (sort of) Game. “Good cop, bad cop treatment?” No actually, I just think Vincent needs to get out more and socialize on the other blogs… so I try to lend a hand. Lol. (I’m joking Vincent… I know you get out plenty). I’m not actually a hyperinflation fan myself, but Vincent must get tired of arguing with me… I have very little new to offer at this point, except to point him to others (such as yourself) with something truly interesting to say. Well I guess I’ll leave it up to Vincent. The Lars thing was my idea… Vincent may not be very interested in deflation: It’s not his thing. Marcus, I thought you were saying that out of control government budgets and money printing were what caused hyperinflation. Is there more to it? How do you define “out of control” Gov Budgets? That´s only true if you observe “out of control” money printing. Otherwise the budget is not “out of control”. If you can not use out of control budgets to predict out of control money printing, then do you have any way to predict out of control money printing? It´s not a question of predicting. Just observation. If high debt or high deficit is not matched with “high’ (relative to demand) money growth, the budget is not “out of control”. In real science your theory lets you make predictions. The better you understand something the more accurate your predictions turn out to be. If you can not make any predictions, then you don’t really have a theory of what is going on. If you have no way to tell when hyperinflation is a real risk, or coming soon, or imminant danger, then you just don’t understand hyperinflation. I contend this is the normal case for economists today and a sad state of affairs. Vince, you´ve made your prediction: >26% inflation in Japan by the start of 2016. I would be surprised if in the same time span inflation in Japan goes above 2% or 3%! (I´ve registered the wager)! Fine. But you have not explained enough of a theory to really help someone else in deciding if, by your understanding of things, there will be hyperinflation in Japan or not. You have not explained the thinking behind why you would be surprised to see hyperinflation in Japan. The bit you did explain seemed to fit Japan. A wager without a the theory behind it is still not very satisfying. And perhaps what Marcus is saying is “Well, just look at what’s happening. Is inflation low? Are interest rates already low?” etc. If inflation is low and has been low and you’re at the ZLB, those are indications, perhaps, that money demand is high relative to money growth, or vice versa, that money growth is low relative to money demand. Maybe what he’s saying is that’s a much better observation than the quantity of QE or who exactly is buying the government’s debt. And BTW, if I butchered that and Marcus needs to correct me, that will be super helpful (for me)!… I actually like your line of questioning here Vincent. I don’t share your prediction of hyperinflation, but I love this thread. So I think an out of control budget, like in Japan, and out of control debt, like in Japan, are predictive of hyperinflation. To me if taxes only cover half the spending and the debt is over 200% of GNP then they are both out of control. Outside of Japan I don’t think any country has gotten these kinds of numbers without getting hyperinflation. I think eventually Japan will get hyperinflation too. But if he is saying the only way to judge if things are out of control is if we have hyperinflation, then he has no ability to predict hyperinflation. To me the whole point of theory and understanding is to be able to predict how things will happen. Yes, it is one of the better threads. At least Marcus is engaging. 🙂 Most just completely ignore hyperinflation and any questions about it. Even though there are probably more than 5 countries with hyperinflation at the moment, it is just not taken seriously by most economists. I think they know it is from too much money and don’t bother looking into it more than that. There are more interesting parts to the puzzle and trap of hyperinflation. You don’t necessarily have to have hyperinflation before you can predict hyperinflation if you’re trying to judge the size of money printing relative to money demand perhaps: Maybe that’s where Mark Sadowski’s suggesting that you look for a pattern of multiple years worth of high inflation comes in!… that’s a good indication that money demand might be falling, making the relative amount of money growth start to look bigger: and thus making a hyperinflation prediction more plausible. Vince By your standards in, say 2004, you would have predicted Japan going into hyperinflation by 2006? Tom, now you´re moving in the “right direction”. Vince is still “lost in the forest”! Honestly, ~1.5 years ago I thought it would have it by Jan 2014. But the understanding of the feedback loop and predicting when the feedback loop will start are two different things. I claim that I do understand the mechanism by which hyperinflation “kicks in” all the sudden. There are a bunch of feedback loops. I claim that I can tell when there is a high risk of these kicking in (high debt and deficit with central bank monetizing). I do not claim I can accurately predict the start date. I say it is like understanding how a forest fire spreads from a small ignition, but not being able to say when a fire will start. It is like you can say, “high fire risk” without knowing which day a fire will start. So I think it is a useful level of understanding (and more than the average economist) but not full understanding. Vincent, using your “high fire risk” analogy, perhaps there’s a factor you’re missing. In the framework of your analogy, maybe there hasn’t been much rain, but perhaps you’re ignoring the fact that it’s still snowing (i.e. that money demand is still very high… and there’s a sequence of events, a process, by which money demand decreases (i.e. it stops snowing and the snow melts), and it’s unlikely that we’ll miss it when it happens). Tom, part of the reason I keep looking for someone to debate is that I do consider the possibility that I am wrong or missing something somehow. I think if I am wrong that someone should be able to point out where. To me Japan seems on 3.